Prime ski-in/ski-out lets you steer clear of the whole shuttle/remote parking scenario. Inviting condos are each individually furnished, so no two are alike, but all have spectacular views. Chat with fellow guests or just enjoy the views. The well appointed kitchen has everything you need for dining in - you're so close you could even ski back for lunch. You can take a 4 minute shuttle ride to Village Express Lift. No waiting for the car to warm up, the resort offers ski-in/ski-out access. Brave the brisk temps on the way to the outdoor heated pool. There are 2 hot tubs at the resort - try them both and pick your favorite. The short, cold walk is so worth it. Set a new family hiking record - Highline Trail is an 8 minute drive from the resort. It's a 15 minute drive to Maroon Snowmass Trail. Snowmass Golf Course is an 11 minute drive - just toss your clubs in the car and go. Named #1 by TripAdvisor for Specialty Lodging in Snowmass Village, Top of the Village is tucked inside the stunning White River National Forest. The resort looks like it was pulled straight out of a Thomas Kinkade painting. You’re surrounded by trees and wildlife – see who can spot the first deer. The slopeside address gives you blissfully easy ski-in/ski-out access, so when one of your kids inevitably forgets something, it’s an easy zip down to go get it. And at the end of a long day on the mountain, nothing beats being able to ski directly back to your condo. The pool and hot tubs will quickly become a family favorite après-après ski spot. There are elevators in every building at the resort - you won’t be tired out by the stairs before you even get outside. The resort’s fitness center includes a stationary bike, weights and a treadmill. (Being on vacation is no excuse for gym-skipping.) A relaxing post-workout visit to the sauna is a must. All two- and three-bedroom condos feature extra-large living rooms with a gas fireplace. The floor-to-ceiling windows give you breathtaking panoramic views of Snowmass Mountain. And each residence includes a full kitchen, stocked with everything you need to cook and serve family favorites. Stop by Clark’s Market for groceries, conveniently located just a few minutes from the resort. The private patio includes a gas grill (new as of Summer 2016), perfect for an afternoon cook-out. Don’t worry about cleaning the dishes by hand (remember, you’re on vacation), there’s a dishwasher in the kitchen. When your vacation ends, the last thing you’ll want to do is laundry. Thankfully, there’s a washer/dryer, so all you’ll have to do when you arrive home is unpack. The resort offers a complimentary shuttle that takes the hassle out of getting to the village. 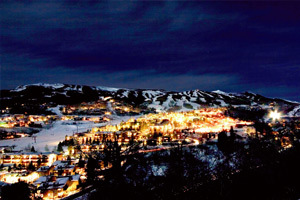 Snowmass Village Mall is jam-packed with restaurants, shopping and ski rentals. Play a round at Snowmass Golf Course, it’s only about ten minutes away from the resort. Like to hike? Pack a picnic and hit the Highline and Maroon Snowmass Trails. In need of some pampering? Stop by Snowmass Village Spa for a mani-pedi, facial or a massage. It’s an easy drive from Top of the Village to Aspen. Snowmass, Aspen Mountain, Aspen Highlands and Buttermilk are all covered with the purchase of a lift ticket. - Front desk hours are 7:30 AM to 12:00 AM in the winter, and 8:00 AM to 10:00 PM in the summer. Guests who plan to arrive outside normal front desk hours must contact the hotel at least 48 hours in advance of arrival. Late arrivals can use the telephone outside the front desk to receive a code for a lockbox with keys to the unit. For more information please contact the property using information on the booking confirmation.